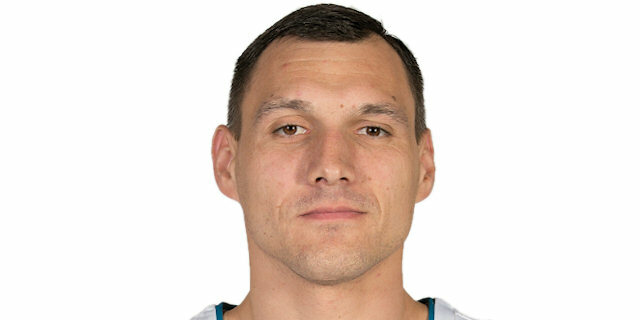 Panathinaikos stepped up on defense and got huge three-pointers from Andy Panko and Jonas Maciulis in the final four minutes to pull out a 78-76 victory over upset-minded Mapooro Cantu on Thursday night at OAKA in the Greek capital. The win puts Panathinaikos’s record at 1-1, while Cantu remains winless in Group A. 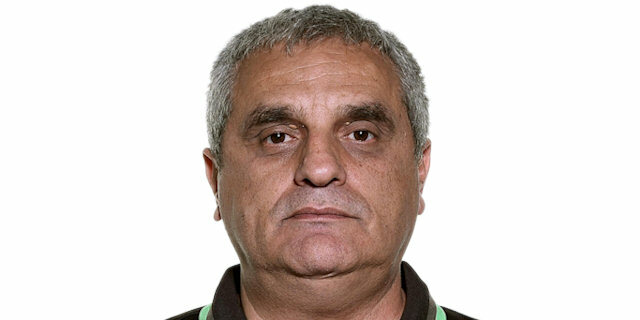 The visitors overcame an early 8-point deficit with 3-14 second-quarter run and the two teams traded leads until early in the fourth quarter when Dimitris Diamantidis started a 15-5 run that put Panathiniakos in control and secured the all-important victory. Sofoklis Schortsanitis scored 9 of his game-high 19 points in the third quarter, Diamantidis finished with 12 points plus 7 assists, and Roko Ukic and Panko each scored 11. Pietro Aradori and Manu Markoishvili finished each with 17 points for Cantu and Alex Tyus added 10 points. 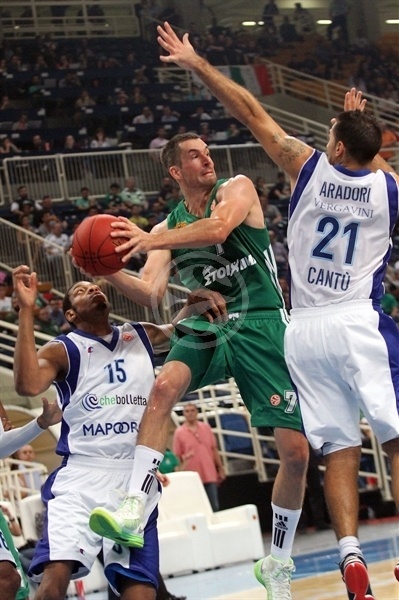 Maciulis opened the scoring from close range, but it was Diamantidis and Ukic that set the tone early for the Greens. Ukic scored an uncontested layup on a give-and-go with Diamantidis, and each player hit a three-pointer to build an early 11-6 advantage. 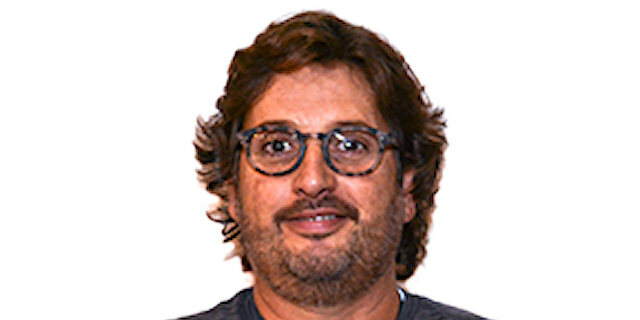 However, Marco Cusin and Markoishvili kept the visitors close in early minutes, and Aradori and Markoishvili scored back-to-back triples to give Cantu its first lead, 11-12 after four minutes. After Hilton Armstrong‘s layup and Schortsanitis free throws, Maarten Leunen hit another Cantu triple to tie the game at 15-15 with three minutes to go in the quarter. In the remaining time, though, Panathinaikos players went 6 for 6 from the charity stripe while allowing only one field goal to Jeff Brooks, and a powerful one-handed dunk as time expired from Kostats Tsartsaris gave the home team 23-17 lead after one quarter. Tsartsaris and Derwin Kitchen continued to hit free throws at the start of the second quarter, but Nicolas Mazzarino scored a three-pointer and Tyus’s monster dunk kept Cantu in touch. Ukic and Markoishvili traded nifty baskets while Mazzarino’s tough three-pointer from the right corner made it 30-27 and started a 4-13 Cantu run. Cusin helped on the defensive end by blocking a floater by Ukic, and Markoishvili hit a step-back shot in the paint to cut the deficit to 1 point. Brooks and Mazzarino put the visitors back into the lead and Markoishvilli hit 3 free throws to make it 32-36. Panathinaikos went almost five minutes without a basket before Panko ended the drought, but Aradori and Tyus kept Cantu in the lead. Panathinaikos responded with a dunk by Schortsanitis and a fast-break layup by Mike Bramos that tied the score at 40-40 with less than two minutes remaining in the quarter. The hosts took the lead on a Bramos bucket in the low post and after Aradori answered with a jumper, Tsartsaris once again scored at the buzzer to end the half – this time a fade-away from close range to give Panathinaikos a 44-43 halftime lead. Panathinaikos got to the free throw line 22 times in the first half, and continued to dwell on the charity stripe in the beginning of the third quarter as well. 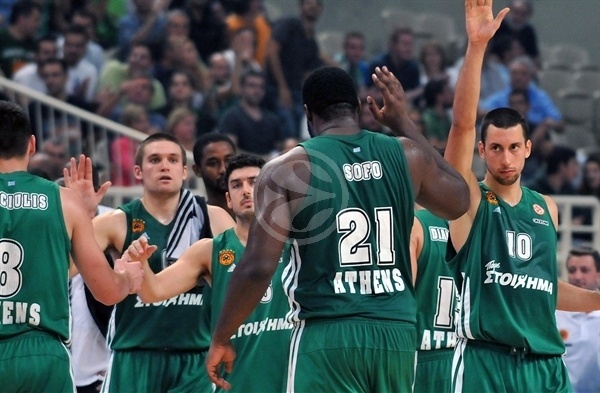 Schortsanitis and Ukic combined to hit 3 of 5 while Big Sofo also added a slam-dunk to give the Greens a 4-point lead. Jonathan Tabu and Panko traded three-pointers before Schortsanitis muscled his way for a layup and 54-48 advantage. The visitors had trouble finding an open shot and did not score for more than three minutes until Brooks managed a put-back-plus-foul, which cut the deficit to 55-51. Kitchen and Tyus traded baskets, followed by Schortsanitis scoring on a fast-breaks. Tabu also scored on the break to keep Cantu 4 points behind before Schortsanitis scored inside in the final second of the quarter to make it 61-55 going into final 10 minutes. Cantu had no intention of going away. The visitors forced Panathinikos into 4 turnovers in opening three minutes of the fourth quarter while Jerry Smith hit pair of free-throws and a layup. A layup by Brooks and pair of free throws by Aradori followed as Cantu grabbed a 61-63 lead. Schortsanitis found his way to the free throw line once again and made both shots and Diamantidis hit a triple to restore a Panathinaikos edge, 66-63, with five-and-a-half minutes to go. After a couple possessions on both ends that resulted in no baskets, Tyus grabbed a rebound for a monster dunk. 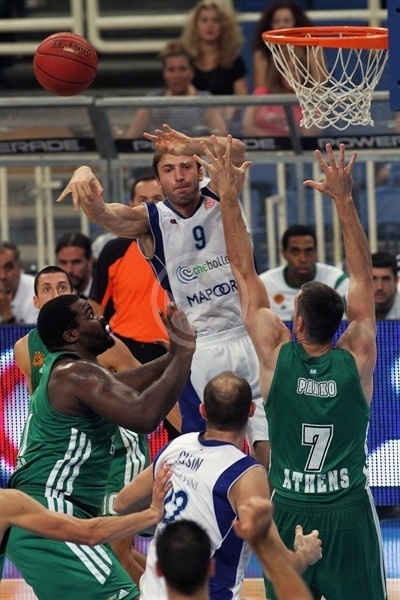 However, the visitors did not manage to take advantage of a technical foul by Diamantidis and got only 1 point out of it. 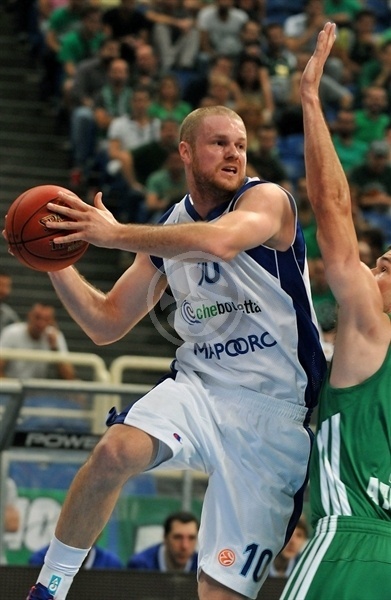 Panko punished the Greens quickly and making a three-pointer to keep Panathinaikos up 69-66. Tyus was once again in the right place in the paint to cut the lead to 1. 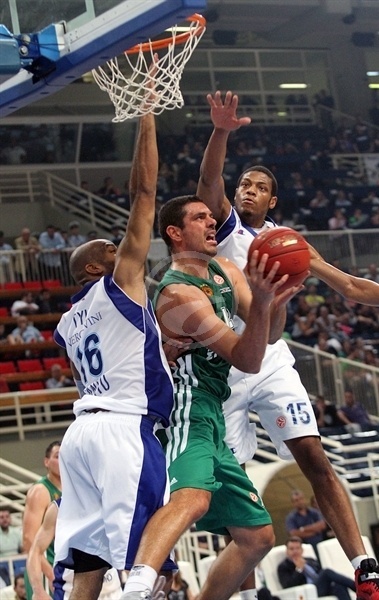 That is when Diamantidis stepped up, first hitting 2 free throws and then blocking Tabu’s three-point attempt. Panko scored on a drive to make it 73-68 and after Coach Andrea Trinchieri called a timeout, Brooks missed a three-pointer. Instead Maciulis hit one to open a 76-68 lead with one minute remaining and seal the deal for the Greens. Aradori and Markoishvili managed to cut the deficit to 2 points with 1.6 seconds remaining, but there was not enough for Cantu to pull off another comeback. "It was a tough game and it became tougher because of our bad defense in the first half. We didn’t manage to stop our opponents when they played the pick-and-roll and the isolation game. We improved our defense in the second half, but our team is a new one and hasn’t the character needed to finish a game when we have to do it. After we ran 8-0 and had the momentum, we made it a drama by doing everything possible to give one more opportunity to our opponents. However this victory is very important and I am looking forward in working harder and improving our performance. Schortsanitis did a great job and can play even better in the future. His progress in free throw shooting is impressive, since he worked hard to solve the mechanical problem he used to have." 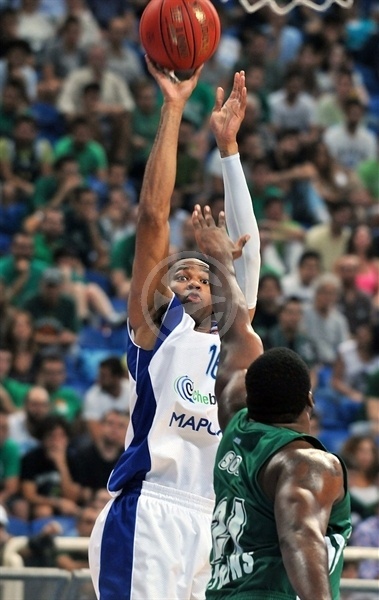 "It is not easy to play and win here at OAKA, but we found the way to be very competitive and fight for the win. In the first half we were very hesitant because we played against some players we have watched only on television. 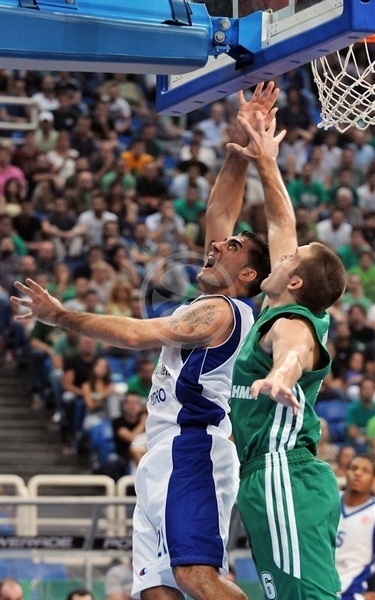 I think that in the first half we showed too much respect for Panathinaikos and we didn’t defend well. In the third quarter we remained in the game and in the last five minutes we played better basketball. We were very close to winning, but we made some very crucial turnovers, while Diamantidis avoided the mistakes and he chose the right teammates in the right place. We committed a lot of personal fouls and if the free throws are 39 against 19, it is difficult to survive. Now we have lost two games, but we realize that we can have better results. Maybe next time we will get the victory." 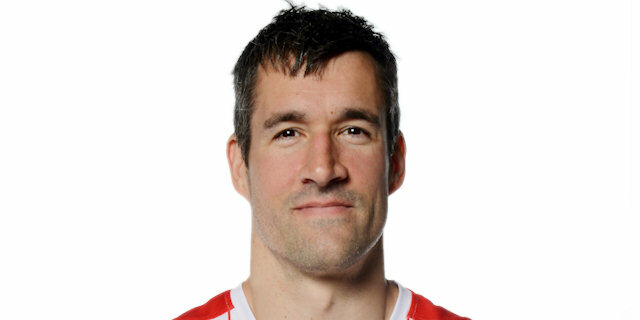 "First of all I was very pleased to play my first Euroleague game at home and I really enjoyed it. It is a great experience. We had some tough times during the game, but it’s too early for conclusions. 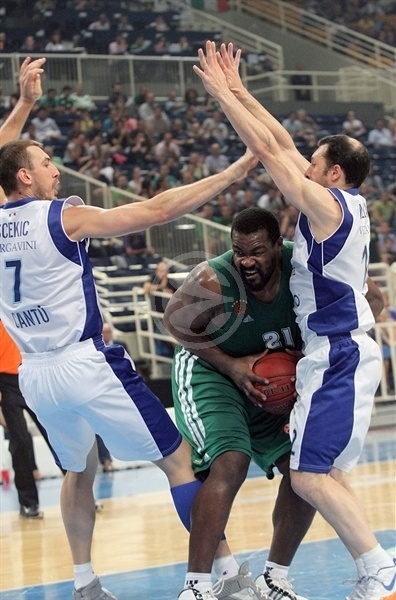 I am happy to play with Sofoklis Schortsanitis and I enjoy it." 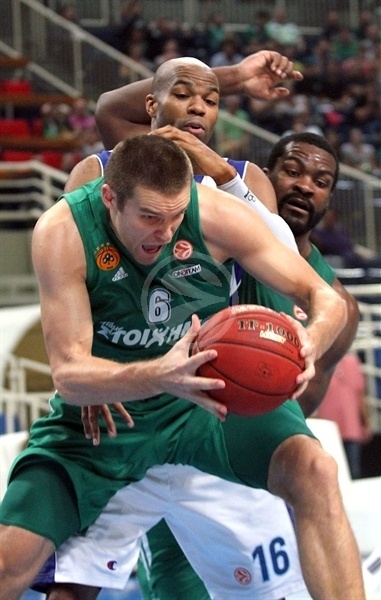 "Every Euroleague game is tough and the one we played against Mapooro Cantu was not an exception. To play in the Euroleague you have to be mentally strong and this is the lesson I got from the very first moment. We were very sad after we lost to Real Madrid and tonight it was a must-win situation."